I've been trying to go outside of my comfort zone and play with new color combinations for my makeup. I was definitely inspired by all the pretty but still wearable colors in the new Urban Decay Born to Run palette. 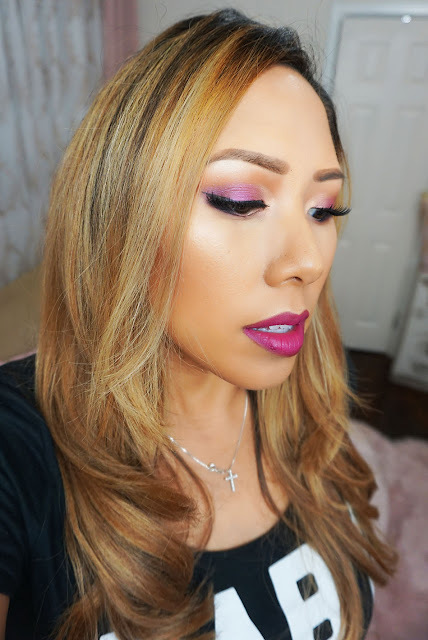 Check out my fuchsia monochrome look! 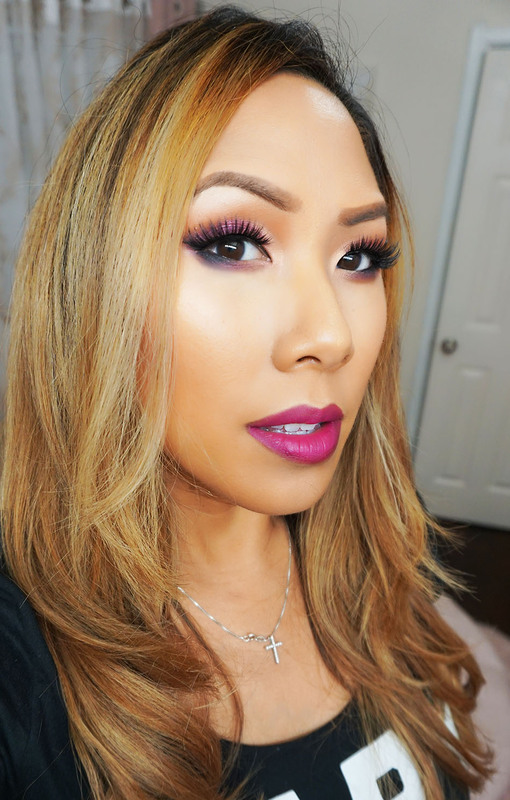 I went for a magenta metallic smokey eye and a matching lip. Bold eyes and bold lips - I'm breaking all the rules! What look do you want to see next? I'm thinking of doing something with the blues and greens. Let me know in the comments below!